Artcore will run activities for 46 weeks of the year which will address issues facing marginalised communities including BAME and isolated, hard-to-contact groups. Through our activities Artcore will ensure participants will have the opportunity to explore different visual art forms to gain a sense of achievement which they can continue to pursue independently of Artcore. Having a regular timetable of workshops will encourage participants to work in teams. Art in the Community workshops will be delivered by a professional artist either at Artcore and or in various other community spaces aiming at increasing community integration and decreasing social isolation. We at Artcore are welcoming and pride ourselves in being non-judgemental and inclusive. Art in the Community is inclusive; there are no barriers to access such as academic attainment, culture, language, faith, ethnicity and disability. Artcore will develop a space within our premises for beneficiaries to generate their own income. We will empower participants with an increased sense of confidence and raise their aspirations. Our project gives the community the opportunity to get together in a safe place to express itself. And these services are free and open to all. 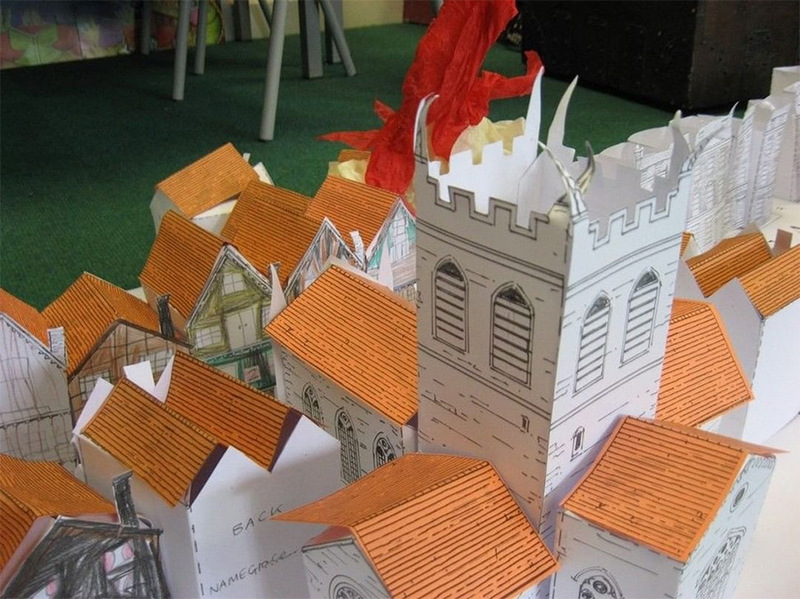 These workshops will focus on building drawing and modelling skills to construct an imaginative and grandiose fantasy city using light card and different cardboard materials, such as toilet and kitchen roll and egg boxes, expressing our ideas and creating architectural designs that are functional and artistic.